C.Y. Lee, whose novel “The Flower Drum Song” became a best-seller and the basis of a popular stage musical and Oscar-nominated film, has died at the age of 102. His son, Jay Lee, told The Los Angeles Times that his father died on Nov. 8 in Los Angeles, but that the family decided not to make his death public at that time. Born in Hunan, China, Chin Yang Lee received a B.A. degree from Southwest Associated University in Kunming and an M.F.A. with a major in playwriting from Yale University. Before his American education, Lee worked during World War II as secretary to the Sawba of Mangshih, a small principality on the China-Burma border. The experience resulted in a series of articles published in the New Yorker magazine and, later, a book entitled “The Sawba and His Secretary” (British edition: “A Corner of Heaven”). A television series based on the book was made and aired in Taiwan. 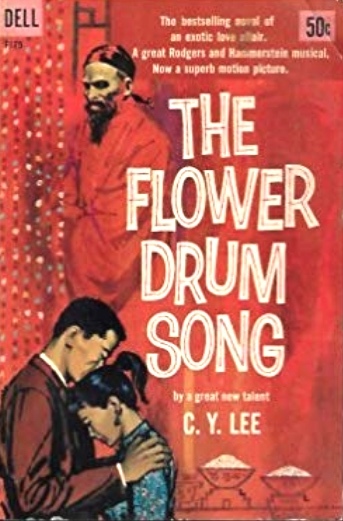 Lee wrote “The Flower Drum Song,” his first novel, in San Francisco while he was city editor of a Chinese-language newspaper in Chinatown. The book was a New York Times best-seller; as “Flower Drum Song” it subsequently became a Rodgers and Hammerstein Broadway musical that opened in 1958 and a Universal film that was released in 1961. The story explores conflicts between Chinese immigrants and their American-born children. The Broadway show featured Miyoshi Umeki, Pat Suzuki, Keye Luke, Ed Kenney, Juanita Hall, Larry Blyden, Arabella Hong and Jack Soo. The movie retained Umeki, Hall and Soo (in a different role) and also featured Nancy Kwan, Benson Fong, James Shigeta, Reiko Sato, Victor Sen Yung and Patrick Adiarte. The show opened in London in 1960 and was performed across the U.S. In 2002, a revival with a new book by David Henry Hwang (“M. Butterfly”) opened on Broadway with a cast that included Lea Salonga, Sandra Allen, Randall Duk Kim, Jose Llana and Jodi Long. The movie, which received five Academy Award nominations, was initially criticized for reinforcing Asian stereotypes, but more recently it was recognized for showcasing the talents of its almost all-Asian cast, a rarity for a Hollywood production. 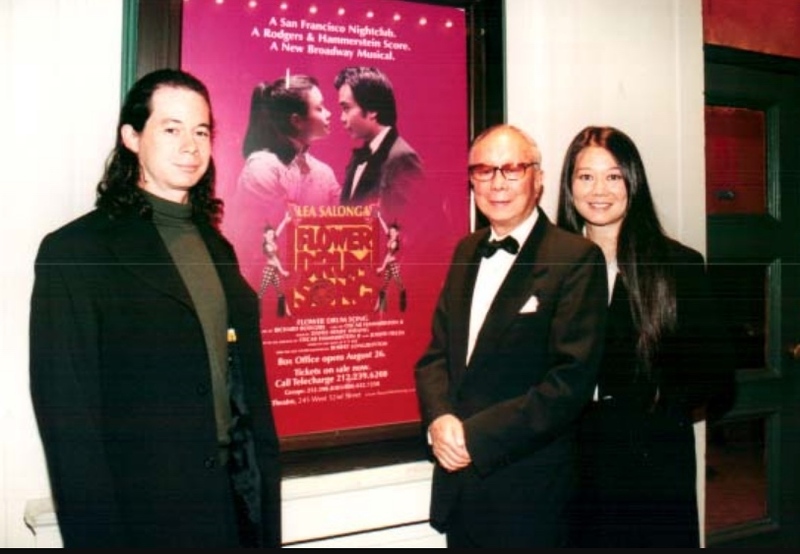 At the Asian American Arts Foundation’s Golden Ring Awards ceremony in San Francisco in 1997, Lee was honored along with Suzuki, Shigeta and Kwan, with Hwang serving as presenter. Lee was the author of nine novels and two non-fiction books published in English and many European and Asian languages. His works include “Lover’s Point,” “Madame Goldenflower,” “The Virgin Market,” “Land of the Golden Mountain,” “Days of the Tong Wars,” “China Saga,” and “Second Son of Heaven.” His novel “Gate of Rage” was based on the 1989 pro-democracy protests in Tiananmen Square. Besides writing books, short stories and articles, Lee also worked with David Brown in 1960 as a script writer for 20th Century Fox. He was the recipient of a California Commonwealth Club Gold Medal Fiction Award, a San Francisco Press Club and Union League Annual Award, a Writers’ Guild Annual Award for Writing Achievement, and a Box Office Blue Ribbon Award. He also received the key to the City of San Francisco. He was a member of the Authors’ League and Dramatists’ Guild of America. A C.Y. Lee archive was established at Boston University’s Mugar Memorial Library. The annual C.Y. Lee Creative Writing Contest for the encouragement of Asian American literature and scholarship was established at Cal State L.A.